A selection of the finest Italian sweet and savoury treats. 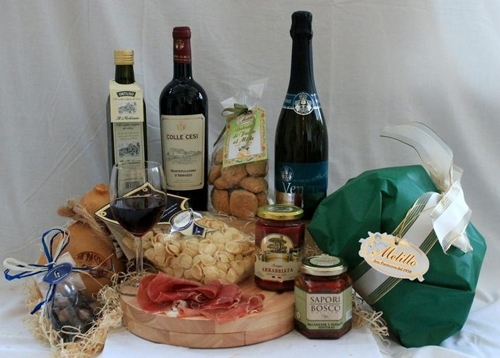 Offering a true taste of "la dolce vita", this hamper contains all the essentials that you need to celebrate in Italian style! Pasta Sauce "Arrabbiata" 295g Semi hot and spicy tomato based pasta sauce with garlic and chilli - great with MammaLina's "Orecchiette"